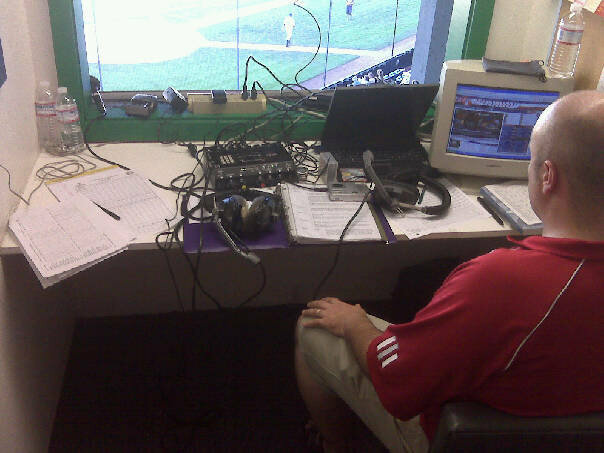 The life of the clubhouse has been taken from the Boise Hawks following tonights game – as Brett Jackson has been promoted by the Chicago Cubs to the Peoria Chiefs…no more shaving cream pies (after the one tonight to Jae-Hoon Ha), no more happy-go-lucky guy in the clubhouse, no more first-round pick in 2009. With Gary Hughes in attendance last night (the special assistant to Cubs GM Jim Hendry), Jackson closed out his Boise career with a 4-for-5 game, upping his batting average to .330, finishing with a ten-game hit streak and reaching base in every game as a Hawk. As much as the fans and media will miss Jackson, his abilities are more suited for the ranks of Peoria or Daytona – not short-season A ball. LAST NIGHT’S DEBACLE: Lost in the ranks of a 15-5 loss to Vancouver on Wednesday wasn’t so much the lopsided score, but the fact that the C’s showed up and played – as the squad was stuck for seven hours in Pendleton, Ore., due to bus problems. Boise had their chances, but could not muster a hit with the bases-loaded and no outs – twice grounding into double plays. The bright spot was a solid job by Yohan Gonzalez, not allowing an earned run in three innings of relief. SEE-SAW GAME: Tonight seemed like another repeat, as Vancouver jumped out to a 4-0 lead in the second, but the Hawks pieced together their biggest rally of the year, stringing together nine hits in a seven-run inning. Ha provided the big blow, ripping a three-run homer over the left-field wall, his first professional home run and just the sixth hit this season by the Hawks. 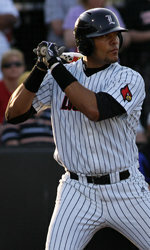 Runey Davis had three hits, including a double and triple in the third inning alone, and Ryan Sontag retired the final four men in order for his third save. I think the picture to the left summarizes what I did on our first day off of the season at home – I enjoyed it with my son Parker and my wife Liza. It was nice to not think about baseball for one evening – I mean, I didn’t even know of Mark Buerhle’s new MLB record for consecutive batters retired until this morning. PJ enjoyed being in the pool – and he even coaxed Daddy to get in the cold water. Monday was probably a day the Hawks would like to forget. Temperatures in Eugene were 106 degrees at the field (it cooled down to 98 at the end of the game) – while temperatures in the press box were between 120-130…I was in such a lather that I needed to shower after the game…which by the time I emerged from the clubhouse – I started to sweat just walking to the bus. It was a tough day for the Hawks pitchers – Robert Hernandez lasted a season-low three innings, Andres Quezada was roughed around in the fourth, and Danny Keefe allowed a pair of seventh inning two-run homers. In all, Eugene hit three HR’s in the game, two fewer than the Hawks have hit as a team in 37 games. NOTES – The Cubs have made a trio of roster moves that will affect the Hawks, as pitcher Larry Suarez has been sent to the Mesa Cubs, while Su-Min Jung is expected to join the team this week and be activated from the 7-Day DL…also joining the squad is D.J. Fitzgerald, a middle infielder who was sent from Peoria to make way for second-round pick, D.J. LeMahieu. BUS RIDE MOVIES: Two movies were played on the way home from Eugene – the classic Will Farrell flick Step Brothers (I still think the drumset scene is too much), along with Watchmen, an intense, sorta superhero movie set from 1940-1985. To say that Jeff Antigua (pictured left) was flat out dominant might be the understatement of the day, as the Hawks left-hander stymied the Eugene Emeralds for four and two-thirds innings in a 7-4 victory today at Civic Stadium. How dominant? Of the 14 outs that he recorded, 11 were via a strikeout – the highest total by a Boise pitcher since Rich Hill (now with the Baltimore Orioles) fanned 13 batters on June 30, 2003 at Everett. Antigua had great movement on his fastball, got his curve-ball over for strikes, but he change-up was definitely the filthiest pitch of them all. Today was also the Boise debut of Chris Rusin, the fourth-round pick out of Kentucky, who lasted two and a third innings before his pitch count was up. He had a live fastball and a quality curve, however, he left his change up in the zone and it was hit a bit. He will be another quality arm in the Cubs system. The top of the order continued to impress, as both Hak-Ju Lee (pictured right) and Jose Valdez each had two hits. Lee has reached base safely in all but one game this season, while Valdez is riding a career-high ten-game hit streak. Right behind them is Brett Jackson, who extended his hit streak to eight games yesterday and has reached base safely in all 22 games as a Boise Hawk. LeeSinging.wma, thanks to Mike Sharp). The Korean duo also had some fun following a game, doing a jive in the parking lot (video thanks to Mike Sharp) for the team to watch. AROUND CIVIC STADIUM: I had the opportunity to test out the speed pitch machine at Civic Stadium – and as you can see, I can’t throw very fast. I also got a tour from Ems media relations director Bryan Beban underneath the nearly 75-year old stadium – and although it is pitch black, you can get the picture of how eerie it is. OFF DAY AHEAD: The players are already looking forward to Tuesday’s off day – Roaring Springs, whitewater rafting, and fishing are all at the top of the list. Games like this one are usually saved for Memorial Stadium, but tonight, as the Eugene Emeralds celebrated the 75th Anniversary of Civic Stadium, Justin Bour (pictured left) gave the home fans a bitter pill to swallow. bourGW2B.wma), clearing the bases and giving Boise the eventual win. A key to the victory was the work in relief by Josh Whitlock, who received kudos from pitching coach David Rosario after the game. His focus was to slow down and work on some mechanics that he and Rosey had discussed in a bullpen session – and it paid off, tossing three scoreless innings against a team that scored eight runs off of him in just 1.1 innings in Boise. THE BACON: Valdez had a three-hit night, extending his hitting streak to a career high nine games, hitting 12-for-23 during the week…the Hawks had a pair of outfield assists in the victory, as Runey Davis threw out Jason Codiroli trying to score from second in the second inning, and Jae-Hoon Ha gunned out Ty Wright at home in the eighth inning, as catcher Matt Williams withstood a big collision at home plate…with his single in the ninth inning, Jackson extended his hitting streak to seven games and has reached safely in all 21 games in Boise…Hak-Ju Lee recorded his fourth three-hit game of the season, tops on the club. 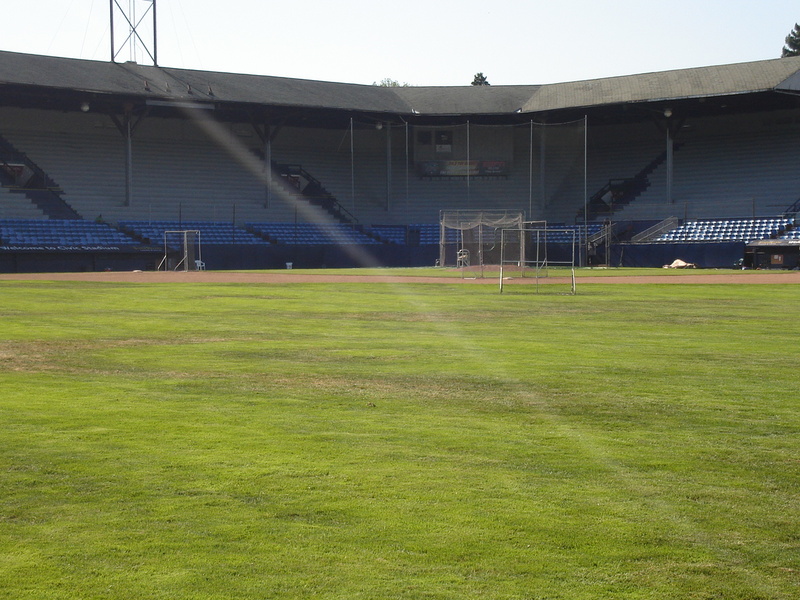 PK Park – the new home of the Emeralds? I am not sure if the trip was worth it, but I took one for the Hawks Advanced Media team this morning, making an eight mile round trip walk (over two and a half hours) from our team hotel in Springfield to PK Park in Eugene – the home of University of Oregon Baseball. situated right next to Autzen Stadium. The playing surface is very similar to that at Wolfe Field in Caldwell – the only synthetic baseball facility in Idaho, or to Bronco Stadium, as the entire diamond is made up of Field Turf (even the infield), with only the pitcher’s mound made of dirt. The park already has two scoreboards up for usage, including a big video board in right-center. Last night, when Mike Sharp talked with the manual scoreboard operators at Civic Stadium, they seemed to think they would be taking the old board to PK Park…I think that won’t happen. 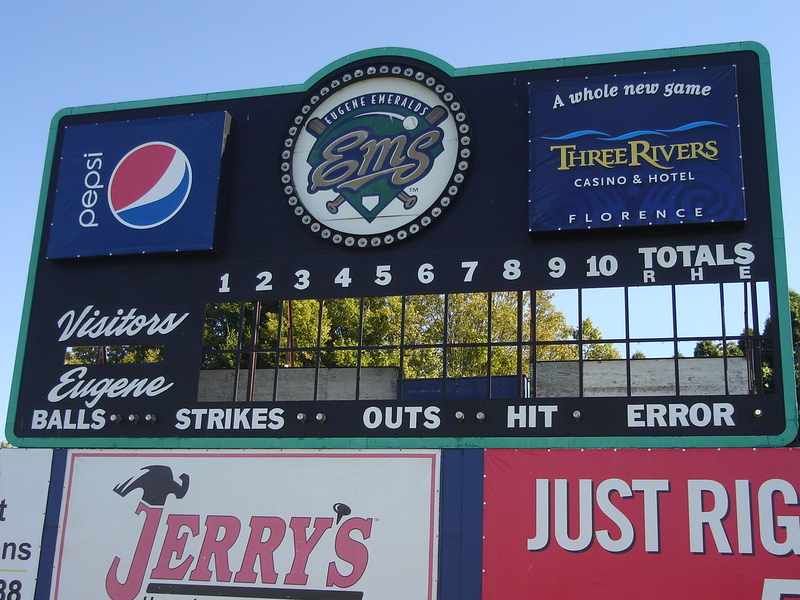 The signage on the outfield wall and scoreboard is not fixed, so if the Ems do play in this park next season, they can transfer their advertising signs to this park. One thing not completed is the bleachers – as a massive construction project is underway to build the 4,000-plus seat facility in time for the Pac-10 season next March. I appologize for the blurry video in advance and the small pictures – as I left my good camera on the bus following the game last night and didn’t want to wake the bus driver at 7 a.m. when I headed out on the marathon. One long, strange inning, was the difference between a win and a loss for the Boise Hawks, as Eugene evened up the five-game series at Civic Stadium (pictured left) at a game apiece with a 5-1 victory. After the Hawks took advantage of a lead-off, sun-aided double by Hak-Ju Lee and an RBI single by Brett Jackson to take an early lead – things unraveled in a hurry. After tossing 14.2 consecutive scoreless innings, starter Tarlandus Mitchell struggled mightily – walking three consecutive hitters with one out, then hitting a batter to tie the score. After a strikeout, another walk gave Eugene the lead – then back to back wild pitches allowed two more runs to score. The final ledger – two-thirds of an inning, five walks, one hit batter, five earned runs, one strikeout. It isn’t often you see five runs on just one hit in an inning. Kudos, however, to the Hawks pen, which has thrown now 12 consecutive scoreless innings – as Corey Martin had his longest outing of the year, while Yohan Gonzalez and Josh Lansford were both solid. Jon Berger was outstanding for Eugene, retiring 17 of the final 20 batters he faced, while David Erickson worked out of a bases loaded jam in the eighth, then retired the side in order in the ninth for his sixth save. THE OLD PARK SHOWING ITS AGE: I had the opportunity to walk the Civic Stadium playing surface prior to batting practice today, and can tell you that the strange weather they have had in the Upper Willamette Valley has done a number on the outfield grass – which is in as bad of shape as I have ever seen it. I did get to get up close and personal with the manual scoreboard (pictured to the right), one of only 18 still operating in the minors (including Everett and Vancouver). The Hawks outfielders were telling me after the game that the kids who were operating the board were playing loud music and seemed a bit tipsy – he said it was comical (maybe that is why the ball/strike count throughout the game was a bit off). HEADING TO PK PARK: First thing on Saturday morning, I will attempt to get some footage at PK Park (guessing PK stands for Oregon booster and Nike boss Phil Knight), the University of Oregon stadium that looks to be the home of the Eugene Emeralds in 2010. Only a seven-mile walk stands in my way – wish me luck!!! THE BACON: Logan Watkins and Justin Bour each saw their hitting streaks snapped last night, with Watkins going 0-for-3 with a hit by pitch, closing out a career-high 15-game run. 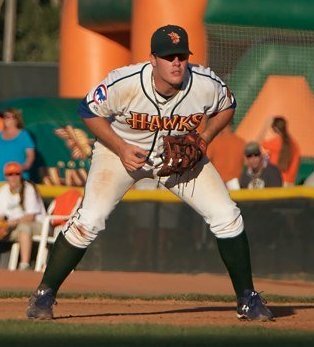 Bour went 0-for-3 with a hit by pitch as well, ending a six-game streak…Jackson has now reached base in all 20 games he has played with the Hawks this year…Lansford has not allowed a run in six of his last seven outings, including six consecutive scoreless frames…following the game, an unknown number of Eugene Emeralds players will be heading to Salt Lake City to join the AAA Portland Beavers for tonight’s Pacific Coast League game – as seven Portland players were hospitalized with what may be the H1N1 flu, forcing the postponement of their game last night in Utah…as a precaution, Hawks trainer Dan Golden gave a speech to the squad on the ride home tonight from the ballpark about washing hands and not sharing towels. It was a long, long night in many ways for the Boise Hawks – watching a 5-0 lead evaporate in a 10-8 loss to Salem-Keizer, then having to hop onto a bus for the 438 mile trek to Springfield, Ore., and the Shilo Inn (pictured to the left). bour2B.wma)pushing the lead to 5-0. Robert Hernandez was dominant through five, striking out five and allowing just two hits. Unfortunately, the bullpen didn’t cooperate. 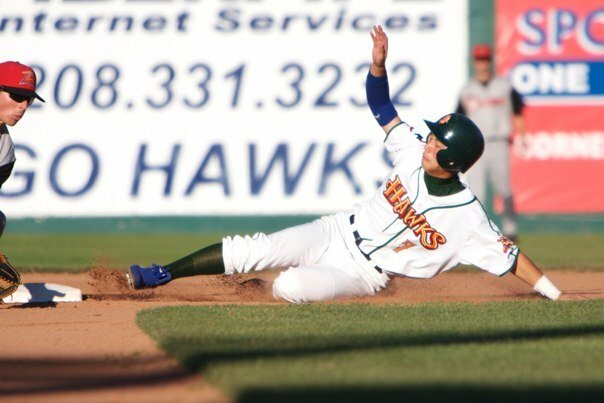 Yohan Gonzalez allowed three inherited runs to score in the sixth inning, then could not get an out in the seven – with Corey Martin struggling as well, along with a pair of errors that led to a seven-run outburst, as the Hawks watched the series victory slip through their fingers. THE TRIP: The trip to Eugene was a little different, as skipper Casey Kopitzke did not travel with the team, instead making the trek with his wife. Joining the club on the trip was Mike Sharp, our HAM insider and editor of (http://sharpfocus.mlblogs.com/) – who will get to see what life is on the road. We watched only one movie, Push, about people with genetic abilities…I really didn’t get into the flick. Nothing was open in Burns, Ore., so we rolled on to Bend, Ore., the old home of the Bend Rockies – where we had a pit stop at 4:15 a.m. 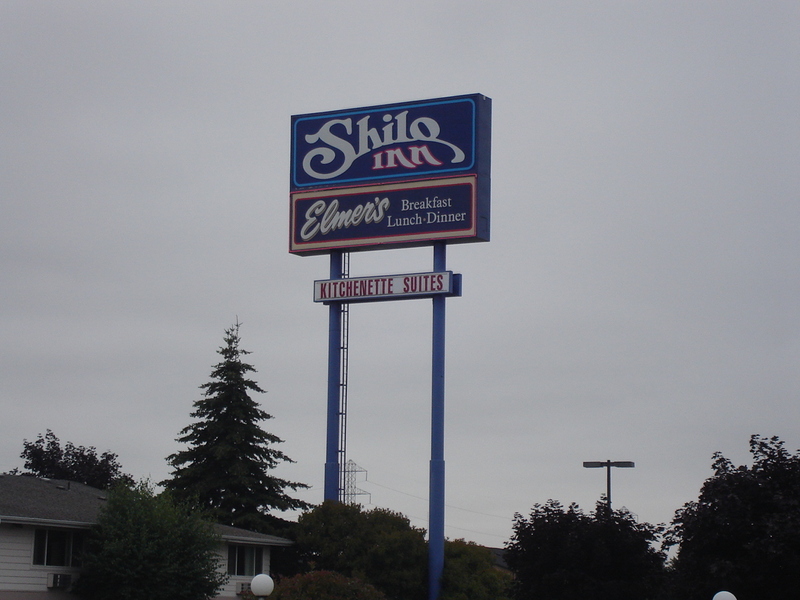 The team finally rolled into our digs at the Shilo Inn here in Springfield around 7 a.m. THE BACON: With the 3-2 series loss to Salem-Keizer, the Hawks have yet to win a series from the Volcanoes since 2002…Brett Jackson reached base in his 18th-straight game, while Bour extended his hitting streak to five with a 2-for-3 game…Logan Watkins went 2-for-3 with two walks and three runs scored, extending his hitting streak to 14 games – the third-longest streak this year in the league…both Richard Jones and Runey Davis ended long hitless droughts – Jones ending an 0-for-19 slump with two singles, and Davis ending a 0-for-9 slump with a bunt single…Jose Valdez wishes that S-K was still in town, as the speedster went 10-for-16 in the series…Hernandez had the longest start of the season for the Hawks, going five and a third innings – the fourth time he has tossed five or more innings this year. ALUMNI NOTES: Ricky Nolasco pitched a three-hit shutout last night for the Florida Marlins, blanking the San Diego Padres, 5-0, pushing his record to 7-7. Last night when I got home from the ball park, I took advantage of DirecTV’s free weekend of the MLB package to catch the end of the Minnesota-Oakland game, as the A’s rallied from ten runs down to win, 14-13. The final play perplexed me, as Michael Cuddayer was thrown out at the plate trying to score from second base on a Michael Wuertz wild pitch – obviously safe, but ruled out by the umpire (which in turn led to a nice rant today by manager Ron Gardenhire). Fast forward to tonight, as a similar play happened in the eighth inning of the game, as Salem-Keizer took a 6-5 lead and with one out and the bases loaded, Caleb Curry hit a roller to Greg Rohan at third, who stepped on the bag and fired high across the diamond to Justin Bour, who tagged the runner on the helmet for the final out (which was confirmed by replay from our friends at Fiberpipe) – however, base umpire Aaron Roberts did not see the tag, ruling Curry safe…setting off a frenzy between Bour, George Matheus, pitcher Danny Keefe, and eventually skipper Casey Kopitzke, who was ejected after the confrontation. What people need to realize is that the one call – whether it was right or not – did not make or break the game. S-K already had the lead when it happened, although it may have been different for Jose Casilla and Drew Bowlin to pitch with a one-run cushion instead of three in the last two frames. However, the Hawks poor base-running in the first three innings were as much of a rally killer than anything late in the game – Jae Hoon Ha getting picked off of second to close the third, and Jose Valdez over-running third base on a Hak-Ju Lee single in the second. ALUMNI NEWS: Two former Hawks squared off in the big leagues tonight, as Sergio Mitre made his New York Yankees debut against the Orioles Rich Hill…Mitre was the winner, Hill the loser, in a Yankee 6-4 win…at AA, 2008 Hawk Andrew Cashner had his best performance as a professional, allowing just one hit in six innings, striking out five, as Tennessee beat Mississippi, 3-2. An outstanding job by a trio of pitchers and a pair of clutch two-out hits proved to be the difference for the Boise Hawks in a key 4-3 victory over Salem-Keizer tonight. Jeff Antigua allowed a Drew Biery solo home run in four and two-thirds innings of work tonight – striking out five batters, with newcomer Eduardo Figueroa tiring late in his two inning stint, allowing a pair of runs. But it was Dionis Nunez (pictured left) who slammed the door – striking out big Chris Dominguez with the tying run at third in the seventh, then setting the side down in order in the eighth and ninth innings for his second save of the season. valdez2B.wma), scoring Jae-Hoon Ha and Greg Rohan. BACON: Watkins, who was named Northwest League Hitter of the Week earlier in the day, had a single in the third inning, extending his hit streak to 12…Lee had two hits, extending his hit streak to seven, while reaching base in his 26th game in 27 outings…Jackson had two hits and has reached base safely in all 15 games as a Hawk…with a win in one of the final two games of the series, the Hawks can clinch their first series win against S-K since 2002…of the 30 games played by the Hawks this season, 13 have been one-run games (Boise is 9-4 in those contests)…Franklin Font, who skippered the Hawks during the first two series of the season, is back in town in his official capacity – as the Cubs roving infield instructor, along with base-running instructor Bob Dernier, and minor league strength coach Doug Jaros. LOOKING AHEAD: In the coming days, look for Hawk Talk interviews with our Player of the Games to be posted (including Watkins, Rohan, Danny Keefe, Ryan Sontag, Josh Whitlock, and Robert Whitenack). Hawks starter Robert Whitenack had his best stuff of the season, at one point retiring ten straight S-K batters, before the Dominguez home run in the fourth. The eighth-round pick had his knuckle-curve working tonight, getting a plethora of ground balls, while striking out three. On base and hitting streaks continued tonight – Logan Watkins doubling in the first to push his hitting streak to 11, while both Hak-Ju Lee and Brett Jackson reached base, extending their long streaks (Lee has reached in 26 of 27 games, Jackson in all 15 games with the Hawks). THE BACON: Despite an announced crowd of only 1,975 fans, it was a very vocal and boisterous crowd – voicing their disapproval to multiple calls by the NWL umpire crew (who I thought did a nice job – as we have the luxury of seeing replays in the press box)…Lee stole his 12th base tonight, taking over the NWL lead in that category.